Belmont’s School of Nursing and College of Pharmacy recently collaborated to demonstrate and educate students on their crucial roles in preventing medical errors. 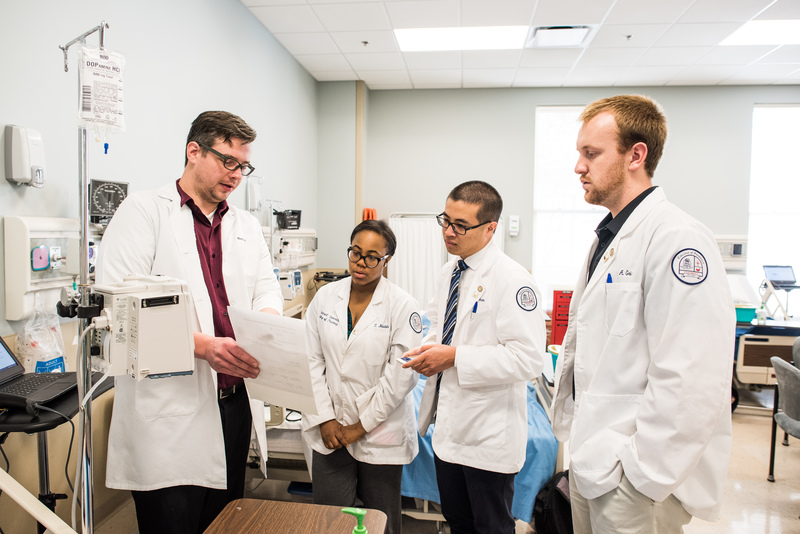 Collaboration and communication between health care professionals has been identified as one of the most important aspects of reducing errors and Belmont’s collaborative partnerships illustrates the University’s commitment to preparing its students for their careers. The inaugural pilot program’s coordinator Dr. Anthony Blash, assistant professor in the College of Pharmacy said the collaboration between nurses and pharmacists allows for identification of potential medication errors, furthering the field’s ability to eliminate errors. Some of the technology available at the bedside to prevent errors and promote patient safety includes medication dispensing cabinets, electronic health records, patient identification through electronic scanners and infusion safety software that provides “dose error reduction.” Each of these is utilized in Belmont’s School of Nursing but, prior to this pilot, pharmacy students and nursing had not collaborated in the reduction of medical errors. Blash and Dr. Beth Fentress Hallmark, director of simulation in the College of Health Sciences & Nursing, provided simulation-based education to first-year pharmacy students in pharmacy’s “Introduction to Drug Information and Informatics” course. Several nursing, business and pharmacy faculty participated in this initiative including Sara Camp, Jean Blank, PJ Ambrefe, Victoria Buechel, Dr. Tammy Legge, Dr. David Wyant and Dr. Kate Claussen.